What a time to be a freshman at Housatonic! As if juggling new responsibilities on top of overpriced books wasn’t stressful enough, there are plenty of new reconstructed areas of the school to make even the Riddler disoriented. New and returning students shouldn’t fear, because all of these changes are going to create a magnificent atmosphere that will hopefully inspire creativity and growth. One of the biggest changes being made in Lafayette Hall is the reconstruction of the library. From the outside, it appears that the library is closed, but that is not the case. HCC’s Directory of Library Services Shelley Strohm was more than eager to divulge the school’s plans to better the students of tomorrow and beyond. All students are encouraged and welcome to the library. 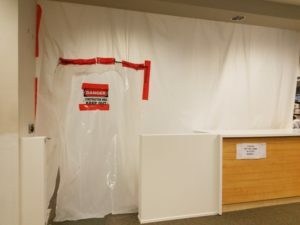 “It is a work in progress, but the library is open,” said Strohm. She explained that students currently have access to all the library’s services. In order to better accommodate students, a new study room should be completed this month, and by October there will be a large seminar room. 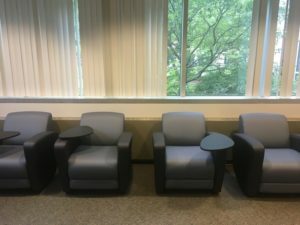 In addition to these changes, the smaller demographic of students are able to feel more at ease in swing chairs that assist left-handed students. Even though construction is going on, the library is still receiving new shipments of DVDs and books for student use. 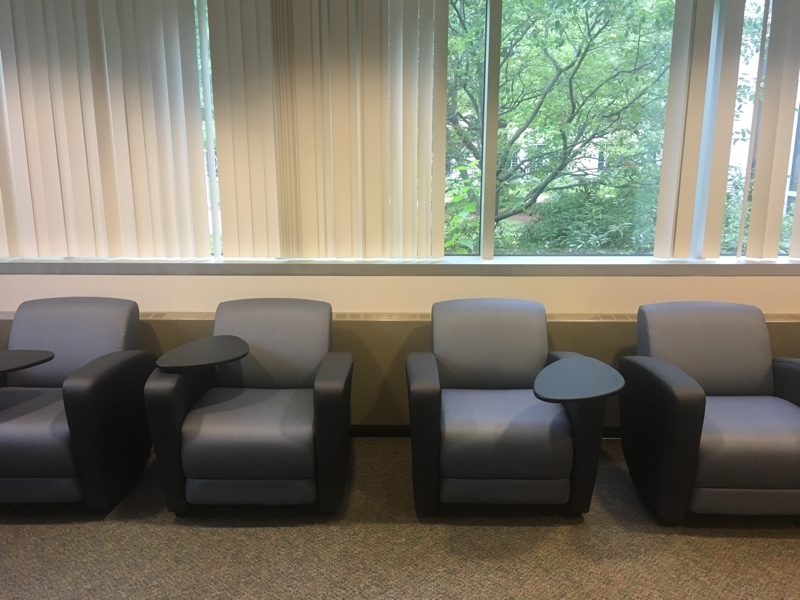 Here are the left-handed swinging chairs that assist the left-handed students. Photo by Emmanuel Soares. Students can use the computers to look up useful information at their leisure.”You can get a subscription to The New York Times for free,” said Strohm. She could not stress it enough on how snatching this opportunity to gain access to a renowned publication and tool to research for school is in the best interest for students to use. Students can utilize the online database, which contains programs such as “Films On Demand” and other resources that may be helpful to inquiring minds. The library will also get a completely new look. To the best of staff’s knowledge, by the spring semester, there should be new carpeting, which will be installed over winter break. The library will be painted and new furniture will be added. 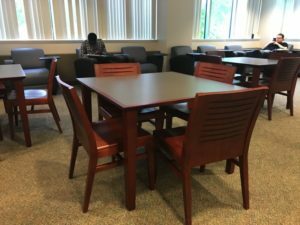 There is no reason for students to hesitate if they need to use the library. Everything is there for the student’s advantage. “If you have a question come to the library… we are here to help you,” Strohm said with a smile. Liz Mercado, Shante Randall, Emmanuel Soares, Peter Allen, Rafaelina Feliz Sanchez, and Chelsea Vogel co-reported and co-authored this story.